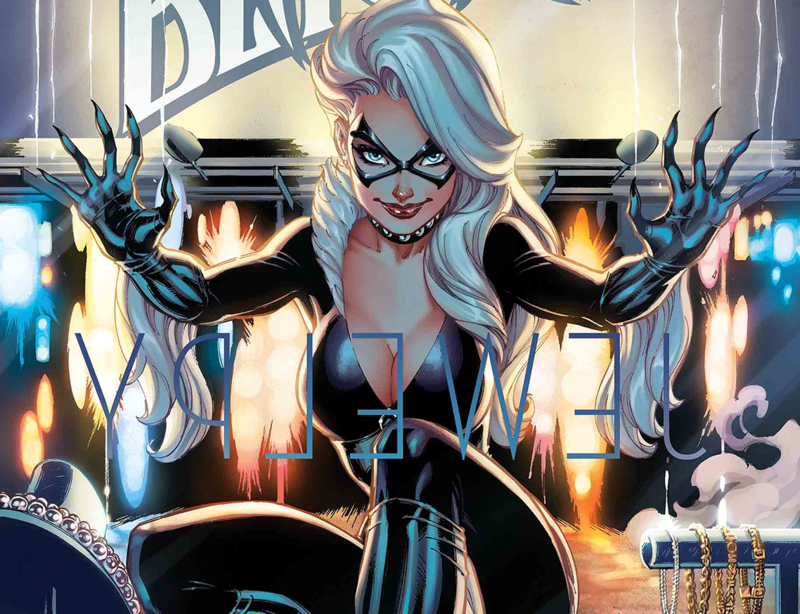 The Black Cat is back and starring in her first ever ongoing series! Felicia Hardy has a taste for the finer things in life and a certain set of skills that can get her into any mansion, vault or museum to…procure said finer things. But due to her actions in AMAZING SPIDER-MAN, Felicia’s not only on the run from the police but also by the New York Thieves Guild and their boss ODESSA DRAKE! High-octane heists, climactic chases and twist after twist that will keep you on the edge of your seat like a cat on a perch. Written by Jed MacKay with art by Travel Foreman. Cover art by J. Scott Campbell. IN THIS ISSUE: Find out a secret from Cat’s past in a bonus story that sets a foundation for the future! All this and an all-new MARVEL MEOW short story by Nao Fuji!